Arjaan by Rotana – Dubai Media City has added 60 additional keys to its inventory by converting hotel apartments to hotel rooms and suites. Arjaan by Rotana – Dubai Media City is undergoing an interesting renovation process, which includes a new lobby, redesign of rooms, opening of new outlets and wellness facilities and the addition of new licence to operate a four-star hotel. 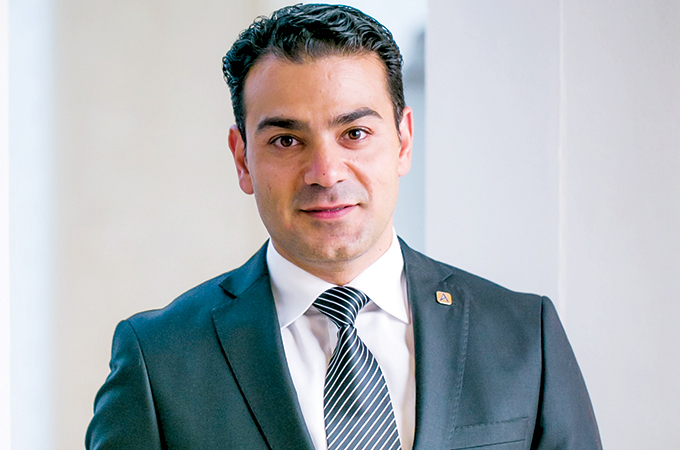 We spoke to Ashor for details of the refurbishment, which will now see it operate as a four-star hotel as well as a deluxe hotel apartment. Tell us about the major refurbishment programme ongoing at the property? 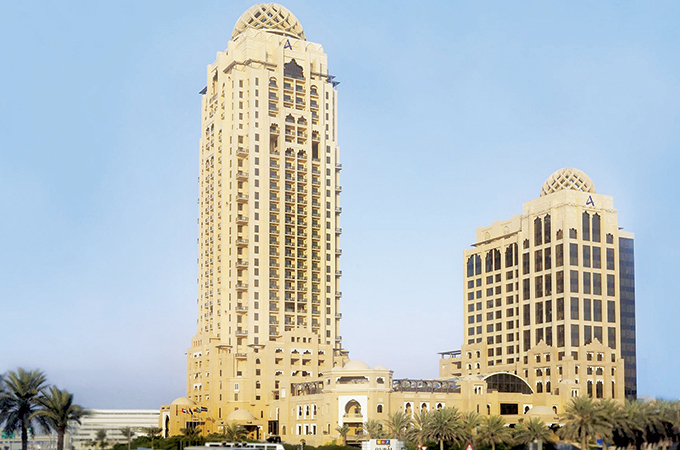 Arjaan by Rotana has recently added two additional floors to its inventory. A complete transformation from a utilised space to a completely modern new outlook. The hotel lobby with contemporary lounge and lobby area were totally renovated. In addition to that, the hotel has added 60 additional keys to its inventory by converting hotel apartments to hotel rooms and suites. The hotel is now able to cater to all kind of guests and meet their interests and has been recently accredited to operate dual activities, offering four-stars hotel services, besides being a deluxe hotel apartment product. Is part of the hotel closed due to refurbishment? Not really, as most of the renovation has been completed. However; the areas that are closed at the moment doesn’t affect the operations by a great deal. When will the refurbishment finish completely? The hotel is planning six additional phases of renovation over the coming years. We are planning to renovate the Skylight and convert it to a multi-functional venue. During the day it operates as a regular café and meeting hub, but also acts as a venue for bigger events and weddings. We have plans to expand our banquet floor and add state-of-the-art meeting facilities to meet the increasing demand of Mice business in Dubai. There are even plans to renovate the office tower, which is attached to the hotel. The final renovation stage will be renovating the remaining hotel floors. What has been the average occupancy for 2018 and what do you expect 2019 to be like? Last year, we saw healthy occupancy levels due to the strong diversification of our targeted segments of visiting guests. Arjaan ended the year with an average occupancy of 80 per cent. The rates were under pressure due to the increased number of rooms and additional inventory coming to the market. Nevertheless, the hotel remained strong in the market and our STR ratings have reflected positive gaining versus competitors. Have you planned any special initiatives for 2019? We have a lot pf initiatives in the pipeline for 2019. We love taking things to the next level and do not shy away from adding a bit extra to enhance guest experience. We have recently introduced live entertainment for guests enjoying lunch or dinner at Cilantro. We will be launching a fully equipped gymnasium that will also offer gymnastics to in-house guests as well people living in nearby areas. These are just a few examples from many initiatives planned for 2019. Your advice to general managers in Dubai this year? The business remains challenging this year. Make sure to get your team focusing on quality and always exceed guest’s expectations. It is much easier to gain loyalty of your own guests than to try finding potential new guests. Make sure to stay focus on costs and major expenses. Be dynamic and keep looking for new markets. There are always new players in the market, and it is important to be up to date and aware of all trends. Keep monitoring your competitors and be updated on all good practices!